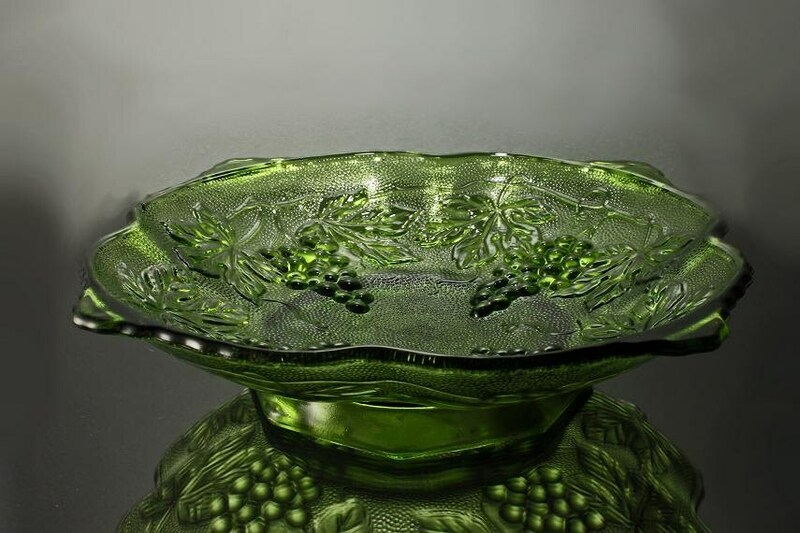 A beautiful square scalloped bowl with a raised grape and leaf design.It stands on a pedestal giving it a touch of elegance. 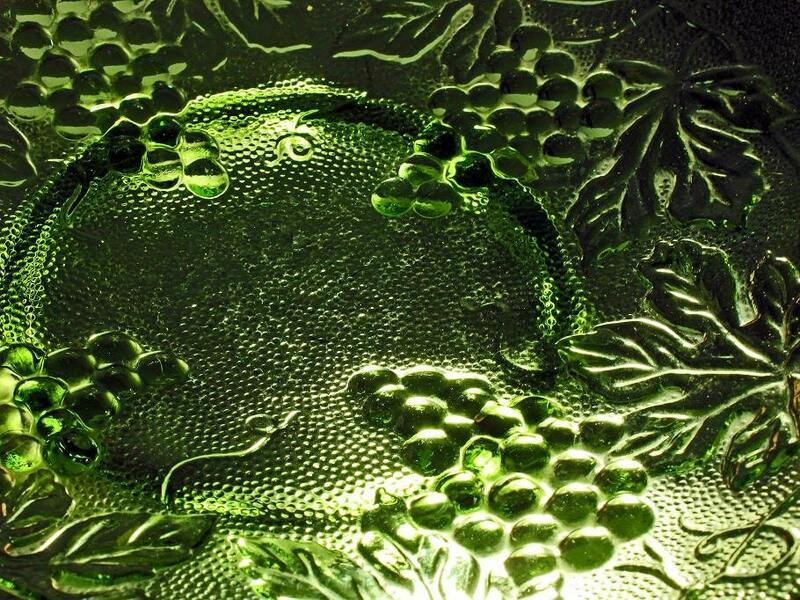 This bowl was made by Anchor Hocking in the 1960's. 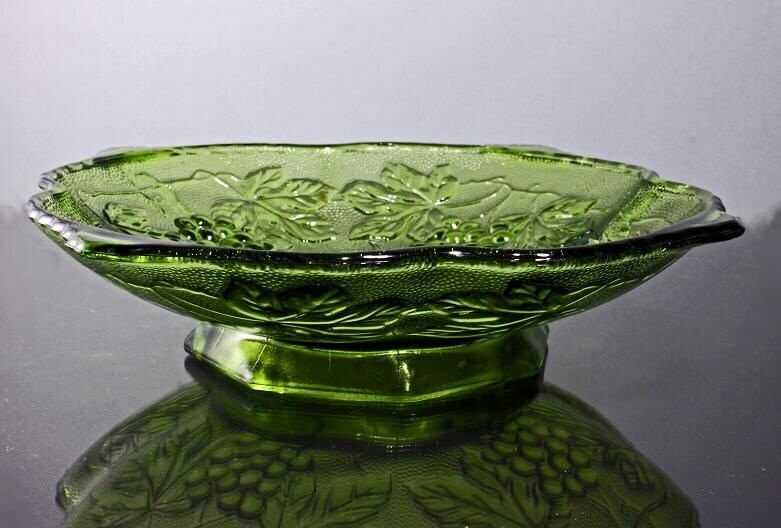 It would be perfect as a fruit bowl for your morning breakfast or afternoon tea. 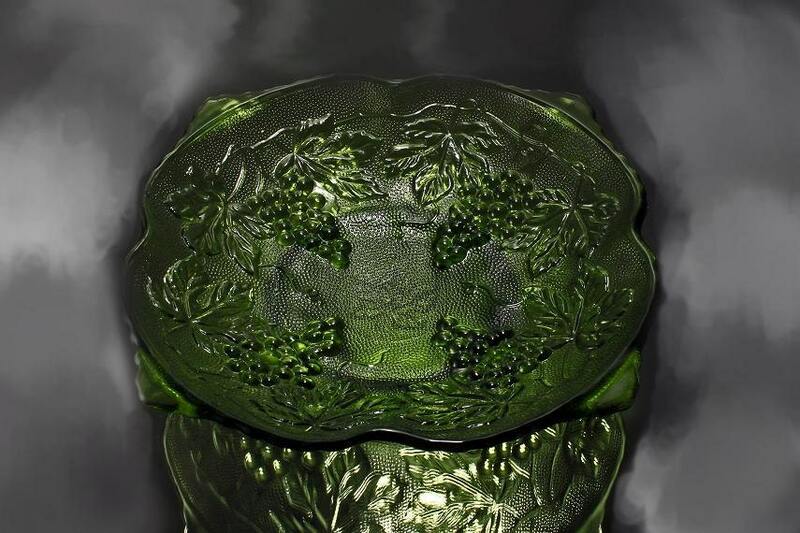 Size: 2 1/4 inches in height and 8 1/2 inches in diameter. 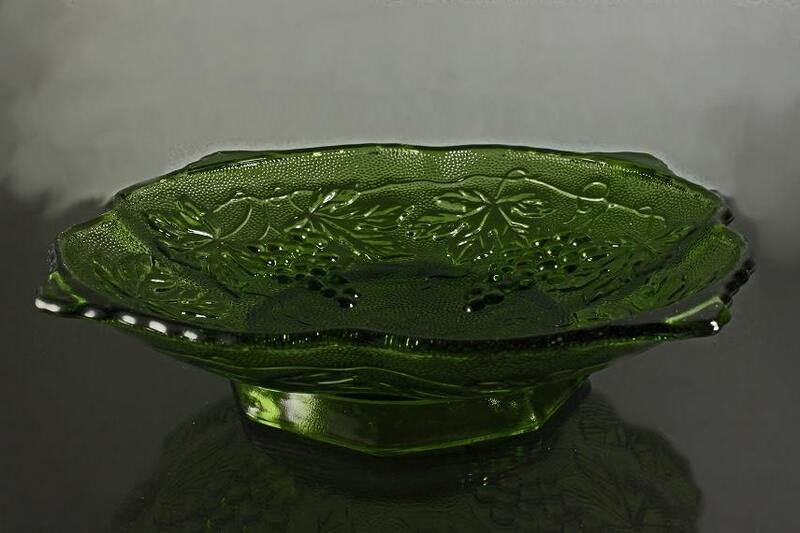 This wonderful bowl would make a great gift for a wedding, housewarming, holiday, or special occasion. It is in excellent condition. No chips, cracks or mars.